Change things up with these side-trips from Amsterdam: Haarlem (Frans Hals Museum & Gasthuis Huisjes (van het vroegere St. Elisabeth's Gasthuis)) and The Hague (The Mauritshuis Royal Picture Gallery & Binnenhof & Ridderzaal (Inner Court & Hall of the Knights)). 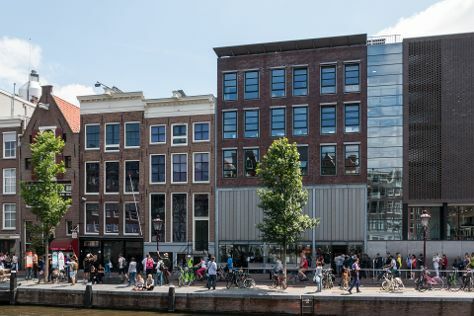 There's still lots to do: don't miss a visit to Anne Frank House, explore the world behind art at Van Gogh Museum, contemplate the long history of Museum Het Rembrandthuis (Rembrandt House), and sample the tasty concoctions at Heineken Experience. For traveler tips, other places to visit, and other tourist information, you can read our Amsterdam planning app . If you are flying in from Brazil, the closest major airports are Amsterdam Airport Schiphol, Eindhoven Airport and Eelde Airport. In February, daily temperatures in Amsterdam can reach 7°C, while at night they dip to 0°C. Finish your sightseeing early on the 19th (Tue) to allow enough time to travel back home.